Midshipman Donald B. 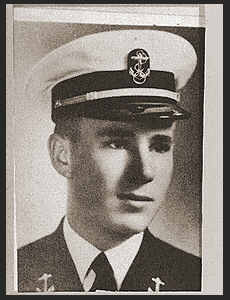 Hall, son of Mr. and Mrs. Brooks Hall, graduated from Davidson High School and attended Oklahoma A. & M. Entered Army in May, 1943, trained in Camp Maxey, Texas., Ohio State Univ., was appointed to the Annapolis Md. Naval Academy.